The Queue: Wait, where is Liz? Do you have any idea what my life turns into when Liz isn’t here? Terror. The answer is terror. I almost feel like I report to MitchNo now. I for one do not use the World PVP system and thus do not get the increased 30% XP bonus while leveling. I find that I personally agree with you — the griefing, ganging up, and generally making it less like old school AV and more like old school … whatever … isn’t up my alley. Blizzard has a lot of work they could do here, including normalizing damage/gear based on a myriad of factors (what you’re doing, how many people, what NPC/mobs are around, etc etc… there’s tons). What I will say though in Blizzard’s defense is that the 30% XP buff seems more like it’s a way to get the base XP earned while having the buff on to a normal level than a big carrot for people to take. In otherwords, I think it’s a false choice. If it takes you 10 minutes to complete a quest without World PVP active, it would take you 13 minutes with it active. By providing a 30% boost, you’re accounting for that extra time/effort you’ll go through with World PVP. Maybe you get a bit more of a reward because you’re playing into a system that Blizzard wants to pipe the masses into, but this smells of balancing around datapoints to me. Datapoints that show the system has some inherent flaws that need fixing. I’m looking forward to the leveling changes the most in 8.1. Thats the most exciting feature for me. I’m sure I’ll like the suarfang story stuff and the war campaign stuff and the blood elf armor stuff but let’s be honest, all together that’s probably like 3 hours worth of content. Not only am I looking forward to it as well, I am actively not leveling alts right now until 8.1 comes along. I even want to go play a mage or warlock, but I’m holding back because I don’t want to see my time wasted. And I do use that word intentionally. When you can do something in 20 hours today, but tomorrow it takes 10, then you are going to wait until tomorrow. The opportunity cost of those 10 hours is too much for me. The most valuable thing in my life is time — the more I have of it, and the better I use it, I can have greater impacts on a number of people. My son, my wife, my cats, my job, Blizard Watch, Liz, MitchNo, and my WoW toons. This means that when I know something is going to increase that value of my time later on, it’s exceptionally unlikely that I’m going to spend the time now to partake in the activity when I get more utility in the near future. This concept isn’t anything new. It’s part of the reason why not all games release massive patch notes ahead of time or detail every single change. Think of it on the WoW level as well — if honor gains doubled in battlegrounds doubled in 8.1, battlegrounds would be a ghost town right now. Do you think more faction leaders are going to be subject to riding off into the sunset? Do any make sense? I know Jaina is going to be a raid boss, so any other nominees to meet an untimely demise? Or has taking out faction leaders worn out it’s welcome? In some regards I want to see leadership changes — they are plot highs that propel stories forward in new directions, oftentimes changing the entire narrative. The (in-game) political moves are not a thing to be afraid of or viewed negatively from a storytelling standpoint (despite how the story itself may make you feel). They’re good things. But, the rate at which they happen? This is my conflict. While parts of history have rulers coming and going in rapid succession, often in violent and disturbing means, these political transactions happen over the course of decades, not 18 to 24 months of expansion timeframe. Sylvanas doesn’t go from being Banshee Queen to being The Worst Person in the World in six months. It’s something that would take years of mechanizations to accomplish. When reading WoW from a strict story sense, it even gets at this. However, the way that it’s portrayed in-game, new faction rulers is something that seems to happen every expansion. Either in one of the two major factions or in the flavor-of-the-expansion faction. This story seems now overused and overtaxed in someways. Does Sylvanas really need to go, or can she suffer economic and political consequences for her actions? There’s a lot of different options out there than just “youre ded nao” that common (and easy, I might add) stories take. 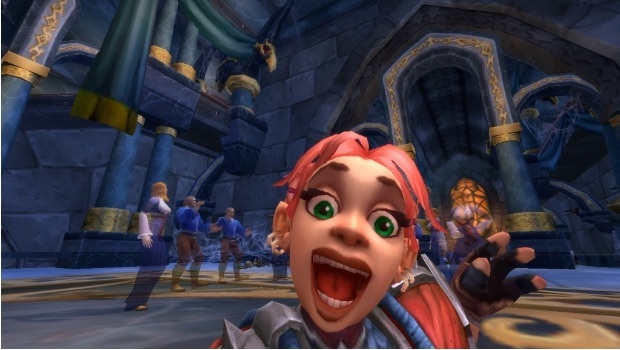 I’ll also tip my hat here to Christie Golden in the way she handled the trial of Garrosh. I thought it was exceptionally well done and, while it ultimately resulted in his demise, created a narrative around the character that was less about him and more about those who were wronged by him and their suffering. The survivors counted — yes justice was demanded and eventually delivered, but the story was much more nuanced. Their tale had to be told. Golden based her writing off the Nurenberg trials and provided a depth and social commentary that wasn’t really seen in previous WoW novels. So if we are going to see faction leaders come to their end again, taking cues from the way that Golden handled Garrosh would be a welcomed tale. And I have hopes here … because a certain Christie Golden now works on WoW every day.